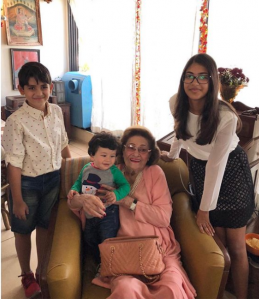 The cute little munchkin named Taimur Ali Khan almost never fails to make a bad day look good, especially for lesser mortals like us, who are spending many of our waking hours sitting in front of the computer, trying to meet year-end targets, while the rest of the world is either vacationing away or living it up. 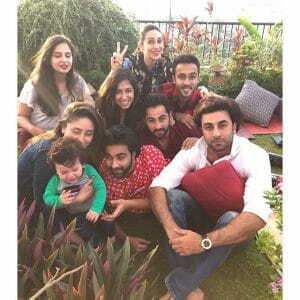 Before we were done looking at all the cute pictures from the little one’s first birthday celebrations at Pataudi, the little one filled our timelines looking as cute as a button at the annual Kapoors’ Christmas brunch, keeping one and all entertained. 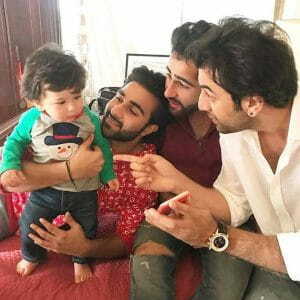 We saw some very adorable pics of the little one trying out mum Kareena’s shades and indulging in some cute Bhangra moves with his mamus Ranbir Kapoor, Armaan Jain and Aadar Jain. The very next morning, we saw pictures of the little one fast asleep while taking off on his annual vacation with his parents, to ring in the New Year. 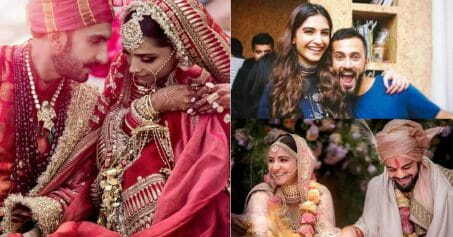 Now, this morning, a picture of Taimur, Kareena and Saif from Gstaad, a resort town in the Swiss Alps, made its appearance on social media, and in just a few hours the picture has gone viral. In the picture, this good-looking family of three al wearing black. And little Taimur is on a snow kart, enjoying his first snowfall in the dreamy little town of Gstaad. 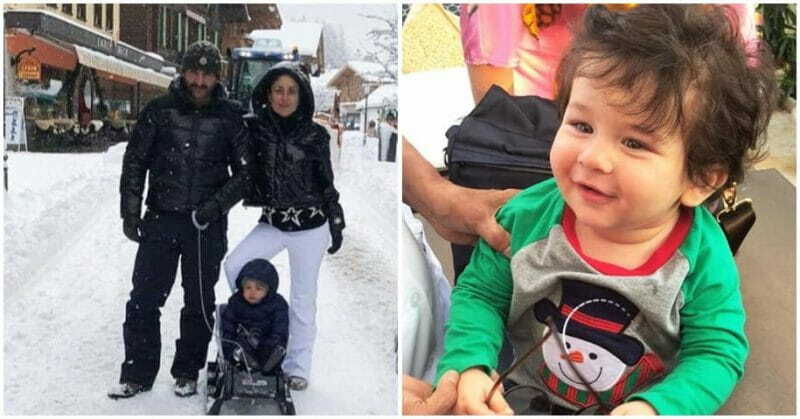 Gstaad happens to be Kareena’s favourite holiday destination, and you may remember that last July Kareena and Saif took Taimur to Gstaad for his first vacation. 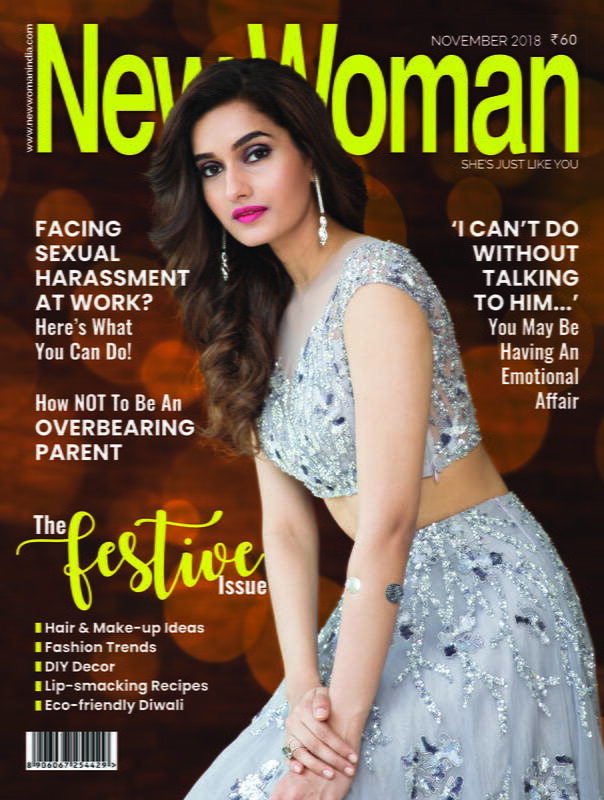 Now, that’s what we call ringing in the New Year in style. We can’t wait to see more pictures of the little one on vacation!